The author talks about her memoir, shedding her secret, and how a wave of Dalit assertion in art, music and culture could change the game for a new generation. 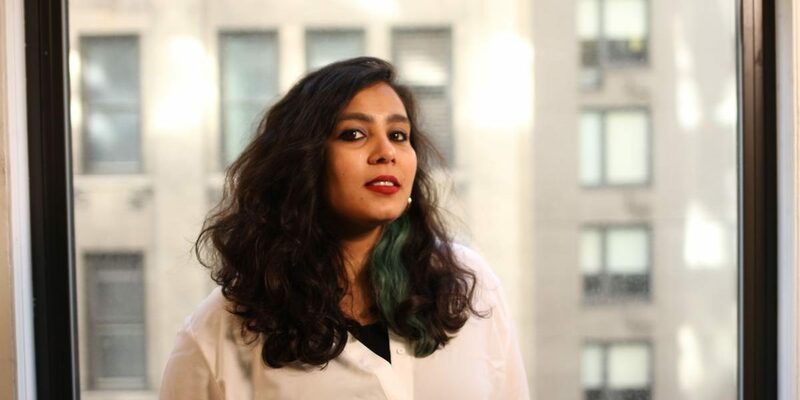 In the wake of Rohith Vemula’s suicide, New-York based journalist Yashica Dutt decided to reveal what she had hidden for years – her whole life – the fact that she is Dalit. Ever since her ‘coming out’ as a Dalit, she has faced varying reactions, the most common being, ‘Oh, but you don’t look like a Dalit’. 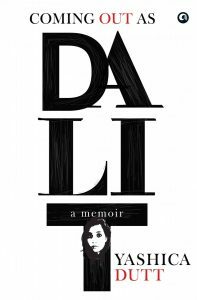 Dutt has now written a memoir about growing up in a Dalit family, and the compulsions of hiding her caste while others flaunted theirs for social capital. Her book, Coming Out As Dalit is not just her personal story, but a commentary on the experience of being a Dalit in today’s India. Your memoir is not just your story, but also a commentary on what has been happening to Dalits at large. Was this meant to give it context or was it, to use your own phrase, to avoid ‘the danger of the single narrative’? Including the stories of other Dalits, but doing that with data, facts and research, was a deliberate choice. I’ve been a journalist all my life. So the idea of just writing my own story was odd for me. I never wanted this book to just be about my world. In many ways, for me, this book is the natural extension of my Tumblr, Documents of Dalit Discrimination. I started that to challenge the mainstream narrative of Dalits, and I wanted to continue that challenge with the book. But I also didn’t want to simply ‘scream into the void’. I wanted to do it so undeniably (with the facts and research) so the arguments couldn’t be ignored. After coming out as Dalit, you’ve received comments like, “Oh, but you don’t look like a Dalit”. How did that feel? That was the most common response. It was also one of the reasons I was excited to see how people would react. The truth is that I don’t ‘look like a Dalit’ – the kind of Dalit we are used to seeing in media, cinema, pop-culture (when we see them at all). But that doesn’t change the fact that Dalits – around all 250 million of us – don’t look the same. Not all of us live in rural areas, just like not all of us live in the cities. I can look, present, react, respond in any way I want and none of those things make me (or anyone else) any less of a Dalit or my Dalitness any less valid. This is the real danger of the single narrative. It perpetuates this false idea that Dalits only have to be a certain type of person, i.e. possibly uneducated or unable to speak English, possibly rural and possibly at the receiving end of horrible discrimination and violence. That in order to, somewhat, justify affirmative action or reservations, we need to look downtrodden. Only then will society agree to acknowledge the thousands of years of systemic injustice that’s been inflicted on us. In order to, somewhat, justify affirmative action or reservations, we need to look downtrodden. Also, by not looking ‘Dalit’ as the mainstream view demands, I openly affront ideas of vanity and how it’s only reserved for only ‘upper’ caste people. There are many examples where Dalits are punished for showing off wealth, vanity or confidence – the most recent being when a young Dalit man was beaten up for growing a moustache. So, among the reasons that I was described as non-Dalit was also because I challenged that idea of Dalits not speaking in English, not being urban, not being confident almost directly. How does class enter the picture? How do you see the intersectionality of caste, class and gender, especially in the Indian context? Class is extremely crucial when discussing caste. Dalits, and Dalit women in particular, who are at the bottom end of the intersection of caste and class are amongst the most vulnerable and susceptible to discrimination and abuse. As I’ve discussed in one of my chapters, Dalit women who clean bathrooms (dry ones being the most offensive) or carry human excrement in loosely knit bamboo baskets on their heads do so because often they have no other choice. Those who work in fields or as day-labourers are often subjected to sexual harassment because of both their class and caste – based on the appalling idea that Dalit women are somehow sexually available and, in a sense, ‘upper’ caste men have some sort of right to assault them. But it is also their class that makes them more vulnerable to that exploitation, leaving them no choice but to return to the same workplace where they face that assault. Even in Rohith Vemula’s story, his class was among the biggest deterrents along with his caste. Because of their class position, Radhika Vemula had to take up multiple odd jobs to put her children through school and college. Rohith also had many such jobs to support himself. 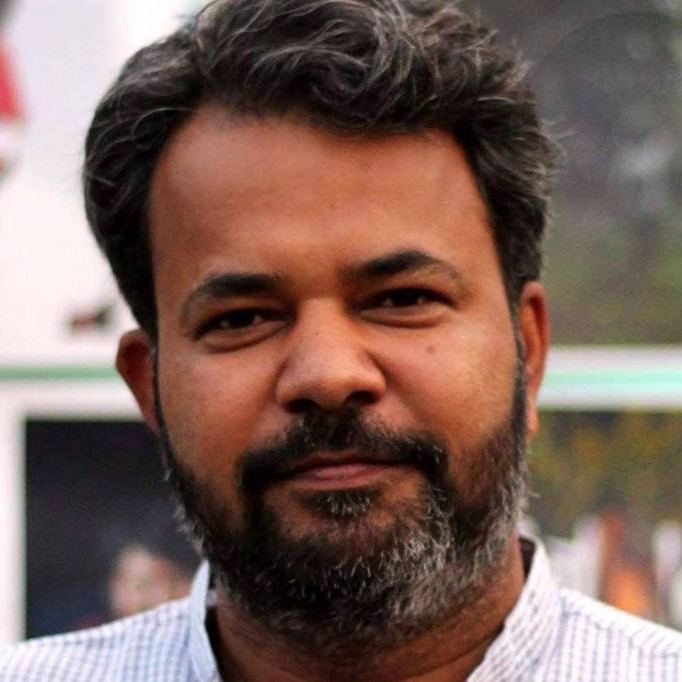 Hyderabad University was aware of his situation and still wielded their power over his fellowship money to stop him from questioning their policies. Even in death, his fellowship money, which was his only source of income and which he had also not received for several months at the time, was among his biggest concerns (something he mentioned in his last letter). Our lower class leaves us defenceless against discrimination. Escaping that does not stop the discrimination, but it does give us the ways and means to navigate that more easily. Which is why the affirmative action policy of reservation is still so critical for Dalits. It is one of the few lifelines that help us transcend class, and escape the heinous conditions of our caste-based professions. How difficult was it to write about the domestic violence your mother experienced? Why was it important for you to write about it? It has been one of the largest, most present realities of my existence since I was a child. Along with a keen understanding of my caste, I also grew up extremely aware of the vulnerability of my mother, whom I always considered to be an exceptionally strong person. The contradiction that someone like that could still be treated this way, and be helpless about it, shaped how I understood the world around me. It also made aware that often choice cannot surpass our circumstances, especially if those circumstances belong to a Dalit woman with three children and a family who doesn’t necessarily share her ambition for her daughters. As a result, I grew up wanting and learning to push back against her kind of helplessness. I also learned to be fiercely protective of her. The fact that she endured what she did just to send her two daughters to good schools and give them a life that was in no way lesser than her son’s has been the driving force behind most of my decisions. It certainly wasn’t easy to write about it, especially because I had to keep revisiting that trauma with each edit and every rewrite (there were four). But I had to do it because my mother and her unwillingness to compromise with my education and freedoms allowed me to become the person who could grow up and write this book. Also, as I was discarding my shame around caste and even my lower class, I also gained pride in my mother’s struggle, in her resilience and grit and her endless resolve to somehow never give up. Also Read: To Be or Not to Be a ‘Dalit’? I also wanted to make a larger point about patriarchy and misogyny and how it didn’t magically disappear just because we were Dalit. Especially in Rajasthan, which has among the worst records of killing female foetuses, patriarchal attitudes can be especially noxious and my mother was all the worse for it. A lot of the physical violence she endured was as a result of her failing to fall in line, her refusal to mutely agree to the decisions of the men in her family and her demands for equality for her daughters. I was writing a book about how Dalit lives look in hiding and the violence my mother faced was a dark reality that lurked in those same shadows. While writing about open caste discrimination in vernacular media, you write that “even English newsrooms which, from my experience, stick to a ‘Don’t Ask Don’t Tell’ policy, are no less of a minefield for a Dalit journalist.” Was this drawn from a specific experience? I didn’t come out as Dalit until I moved to New York. I never covered politics or took an interest in writing anything political when I was working in Delhi because I was worried that I might write a story or express an opinion that might reveal my caste. While I didn’t experience this personally, but several reports I read (and have cited in the book) discuss the discomfort of Dalit journalists with their ‘upper’ caste peers in newsrooms ganging up against reservation, whether in journalism institutes like IIMC or ACJ or other universities and colleges. Those who were open about their caste talked about being pigeonholed to the ‘caste beat’ and the lack of opportunities for them to rise through the editorial ranks. Which makes sense, since we don’t know of many (any) Dalit senior editors or editor-in-chiefs so far. Too many ‘caste stories’ get them branded as rebels who are difficult to manage. But even though caste might not an open question in English newsrooms, like with me, caste is still being consistently evaluated. Give us your take on the new wave of Dalit assertion, especially by young people —in the field of politics, media, cinema, literature and music? When I grew up as a Dalit child hiding my caste, there was nothing around that signalled that people like me existed. We had prominent political figures and Ambedkar of course, but mainstream discourse or pop-culture only validated ‘upper’ caste images. I find it hard to recall a single instance where someone claimed pride in being Dalit. Which is why when I saw Dalit pop star Ginni Mahi flexing her arms to the camera while calling herself a ‘Danger Chamar’ in the YouTube video of her wildly famous hit, it was so radically game-changing. Even though I watched it sometime in 2016, by which time I had declared my Dalit identity to the world, that one act of reclaiming self-worth in the word ‘Chamar’ was so profoundly empowering. And that was just one video. Now, we have so many bright, wonderful and inspiring examples of Dalit pride that it has – in my opinion – somewhat shifted the popular discourse on Dalits. I was recently asked if the Dalit identity has suddenly become ‘cool’. The fact that that is even a question indicates the small but significant change that’s happened since Dalits began openly asserting themselves, without any shame, guilt or self-pity. We now have Dalit directors, actors, musicians and academics who are claiming their rightful place in the country’s history and culture. And they are doing so while challenging our notions of what it means to be, act and look like a Dalit. I can only imagine how hugely empowering it must for Dalit children who are growing up watching these images of Dalit assertion, pride and self-worth. And that it gives them hope knowing people like us, like them, exist.